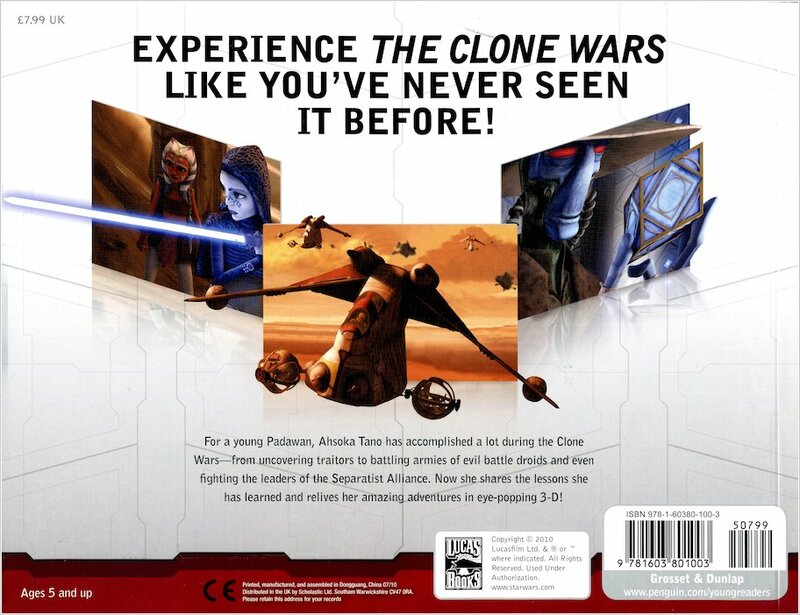 Experience The Clone Wars as never before – through the eyes of warrior Jedi Ahsoka, in real-as-life 3D! 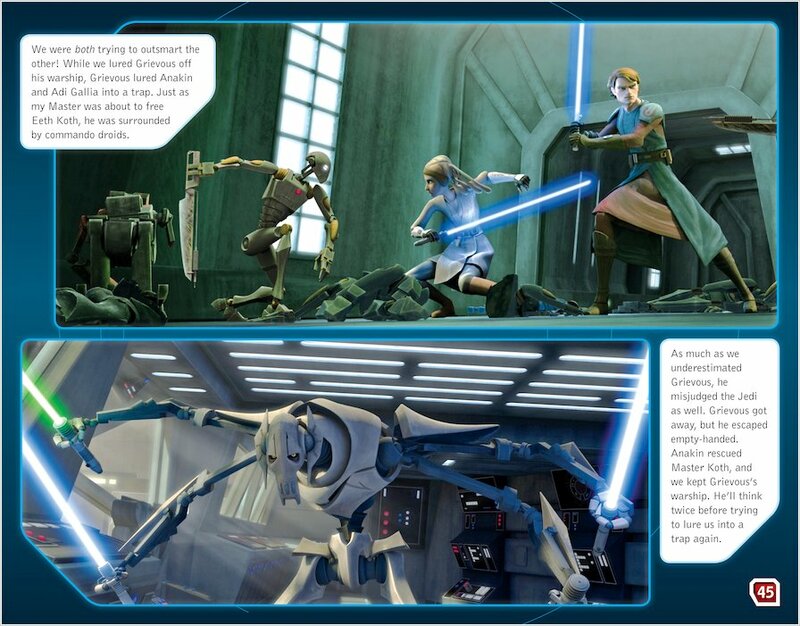 For a young Padawan, Ahsoka Tano has accomplished a lot during the Clone Wars, from uncovering traitors to battling armies of evil droids, and even fighting the leaders of the Separatist Alliance. 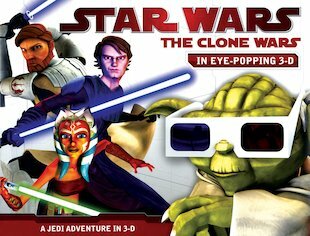 Now, for the first time ever, she shares the lessons she has learned, reliving her adventures in eye-popping 3D! 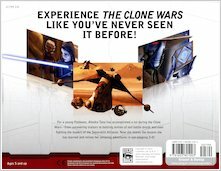 Slip on the special glasses for all kinds of revelations as Ahsoka takes you through each chapter of her biographical story. 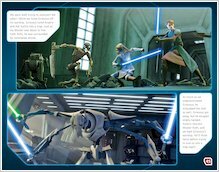 A whopping 64 pages of Jedi wisdom and full-throttle action in full colour – and stonking 3D! I think i want to see more.